The Systemyde 41CL takes advantage of modern technology to significantly add to the capabilities of the Hewlett-Packard 41C system. The 41CL circuit board replaces the original CPU board in the calculator and provides all the features of an HP-41CX except for the Time Module. CX Time functions (the software) are included, but a Time module plugged into a Port, or our new Time Module Clone, is required for full timer functionality. The full 600-register Extended Memory and over 320 plug-in module images are built in. Functions are included to allow these images to be virtually plugged into a calculator Port and unplugged from a calculator Port, either from the keyboard or from within a program. 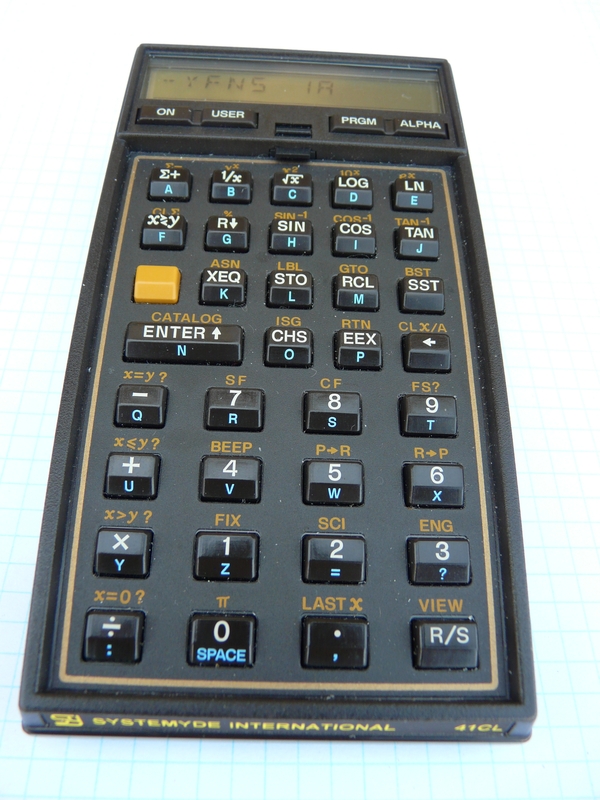 A Turbo mode is included that allows the calculator to run at up to 50X normal speed. A total of 256 (V2), 512 (V3/V4), or 1024 (V5) pages (4K words) of Flash memory are available for non-volatile storage. Over 500 of these pages are pre-loaded with 41C software. A total of 64 (V2) or 128 (V3/V4/V5) pages of RAM are available. Seven of these pages are pre-allocated for 41C use, for register memory, extended memory, MMU contents, and 41CL buffers. A Memory Management Unit (MMU) allows full access to the large physical memory. Full bus compatibility for the Ports is preserved, allowing the use of any peripheral designed for the HP-41 system.